Private Lithuanian airline Avion Express, which specialises in ACMI (aircraft, crew, maintenance and insurance) wet lease agreements with other carriers, achieved a record number of block-hours last year to more than 52,500 hours, a 27 per cent increase on the previous year. The improvement is attributed to a combination of the airline’s efforts in streamlining its business development and to the generally increasing popularity of ACMI-type lease services, Darius Kajokas, Avion Express’ chief executive explains. The Lithuanian operator experienced a steady business development in the first half of last year and in the following months it lifted its Airbus A320 family fleet to 18 aircraft, a 20 per cent capacity increase on 2017. Avion Express has also told Russian Aviation Insider that, despite growing fuel costs and the approach of Brexit – both of which have created a degree of uncertainty for air carriers in Europe – demand for air travel and for leased aircraft is nevertheless on the rise, a factor which is stimulating the airline to continue with its business expansion initiatives. In 2019 Avion Express plans to add more aircraft and further expand its client base, whilst also considering entering new markets, thereby making it less dependent on seasonality. 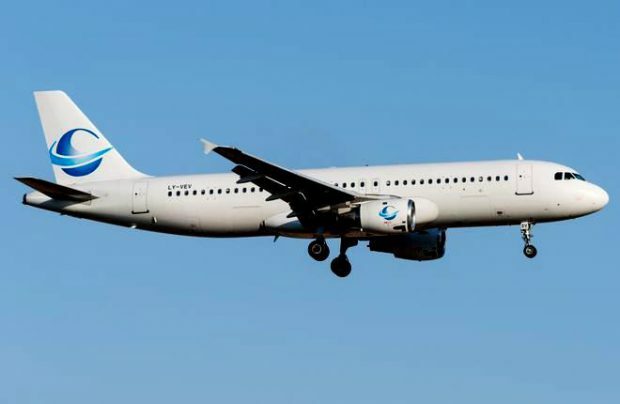 It has already signed an agreement with Turkish low-cost carrier Onur Air, which has contracted for two Airbus A321s. One of the aircraft is scheduled to start operations this winter, followed by the second in April. During the winter months, Avion Express is also continuing to work with its long-term partner Thomas Cook Group, with five Airbus A321/A320 aircraft flying on an ACMI basis for the Group’s airlines in Germany and in the UK. During this period, Avion Express is also providing its services to long-term partner Sky Angkor Airlines of Cambodia. Under that recently signed new ACMI agreement, one Airbus A321 and a single Airbus A320 have been leased to the Cambodian airline.